In New Jersey, there are various levels, or degrees, of criminal offenses. The first major delineation is between indictable crimes (felonies) and non-indictable offenses similar to misdemeanors. The lowest level of criminal offense is called a petty disorderly persons offense, while the more egregious crimes are first degree crimes. The severity of criminal offenses exists on a spectrum and as the crime becomes more serious, the potential penalties associated with a conviction increase accordingly. 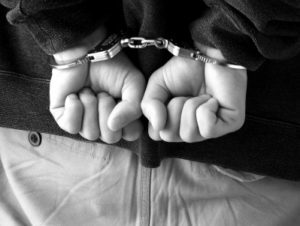 Regardless of the degree of the charges in your case, a criminal conviction will appear on your criminal record. Thus, it is extremely important to enlist an experienced NJ criminal defense attorney who can mount an aggressive defense on your behalf. The Tormey Law Firm is a team of highly skilled New Jersey criminal defense lawyers who concentrate their entire practice on defending clients accused of crimes. With offices in Morristown, our attorneys fight criminal charges in Roxbury, Washington Township, Jefferson, Mount Olive, Boonton, and throughout Morris County and New Jersey on a daily basis. With a former Municipal Prosecutor and former County Prosecutor on staff, we take a comprehensive approach when developing defense strategies in Municipal and Superior court cases. In addition, our firm’s founder Travis J. Tormey has been named among the Top 100 Trial Lawyers in the nation by the National Trial Lawyers Association. Ultimately, our highly satisfied clients are our greatest accomplishment. If you have been charged with an indictable crime or disorderly persons offense in Morris County, NJ, get a free consultation with an experienced attorney today by calling (908) 336-5008. There are four degrees of indictable crimes in New Jersey. First degree is the most serious and fourth degree is the least. If you are charged with an indictable crime in New Jersey, the initial charge must go before a grand jury in Superior Court. The grand jury hears the evidence against you before deciding whether or not to formally indict you. If you are indicted, your case will proceed. At this point, you may decide to take a plea offer or to proceed to trial. Let’s take a closer look at each degree of crime in New Jersey. Importantly, third degree and fourth degree crimes entail a presumption of non-incarceration for first offenders. This means that if the charge represents your first offense, you may be eligible for probation or a diversionary program like Pretrial Intervention (PTI) or Drug Court. Charged with a Criminal Offense in Roxbury, Morris Township, Boonton, Denville, or Nearby Areas? If you or a loved one is arrested in Morris County, New Jersey, the next decision you make is very important. Hiring the right attorney is often a make or break choice in criminal cases. And finding one familiar with the court where your charges are being handled is essential. Our Morristown criminal defense attorneys are in Morris County courts constantly and we are fully prepared to fight for your best outcome. Whether we need to negotiate for a downgraded charge, help you gain admission into conditional discharge or PTI, or craft a defense strategy for an outright dismissal at trial, we work relentlessly on your behalf until the very end. Contact us 24/7 for a free consultation about your Morris County criminal case. We are standing by to assist you at (908) 336-5008.